Win an entire year of support to make your start up come to life! 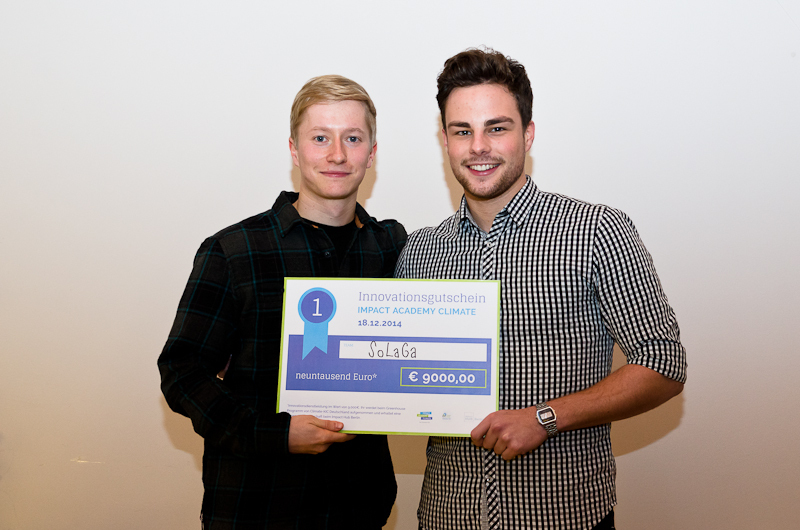 Impact Academy Climate is Germany's biggest climate-innovation competition for students. It offers free workshops at 28 different universities throughout Germany. You’ll learn how to turn your idea into a working business model and in turn promote the protection of our environment and help prevent climate change. You can enter our competition by submitting your idea to our online-platform. The five best teams will be invited to attend a two day Finalist Camp in Berlin, culminating in an Award Ceremony. The winning teams receive a full year of support and promotion from Climate-KIC Germany, as well as a one-year membership at Impact Hub Berlin. Is your university part of the Impact Academy Climate 2015? If so, register for the one-day workshops in October and November via our website! Choose if you want to participate in a full-day workshop or just select one session. Are you ready for an interactive, hands-on workshop? The Ideation Workshops takes place in the morning. It will enable you to identify problems and develop innovative ideas to protect our environment. The Business Model Development Workshop in the afternoon will help you to turn your idea into a sustainable business model. Of course it's also possible to take part in both workshops. Submit your idea to our online collaboration platform "Crowdicity" and be part of our country-wide idea competition. Five teams with the most climate-relevant and innovative concepts will be nominated and invited to take part in our Finalist Camp and Award Cermony. Win one year worth of support to develop your idea and become part of a European knowledge network. -	You and your team are part of the Climate-KIC Greenhouse Programme. You’ll have your own individual coach who will assist you in putting your idea into action. -	You will also receive a Connect Membership at the Impact Hub Berlin. It'll give you access to a professional community of over 10.000 social entrepreneurs worldwide and enabling you to utilize the support offeret at the Impact Hub Berlin. -	You, your team and your idea will be published in an article on thechanger.org. -	You will also receive a Connect Membership at the Impact Hub Berlin. It'll give you access to a professional community of over 9.000 social entrepreneurs worldwide. -	We’ll give you support in writing your application for the Climate-KIC Greenhouse Programme. Want to stay in updated? Sign up for the Impact Academy Newsletter! Receive regular updates of our workshop tour across Germany, meet inspiring participants and find out what ideas are in the running.